Paradise Valley by C.J. Box. 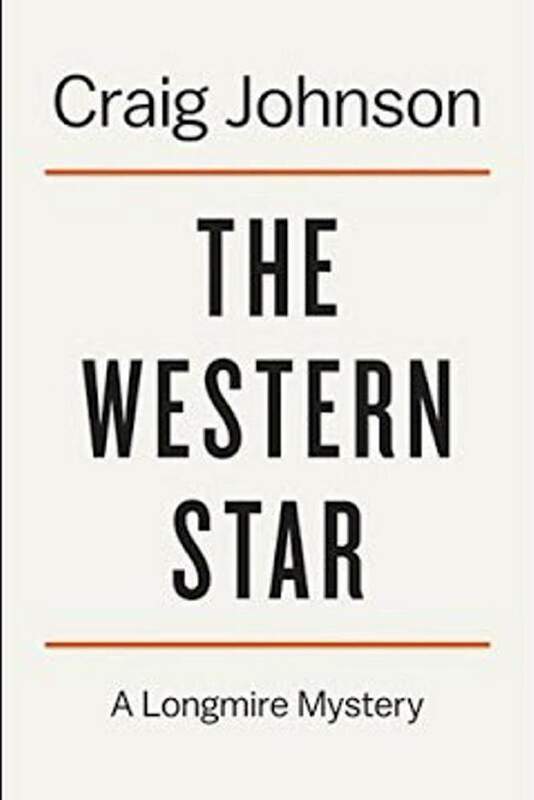 The Western Star by Craig Johnson. Now is a great time for fans of characters and books about the West. Two of the best writers who shine a light on our part of the nation have published new novels. C.J. 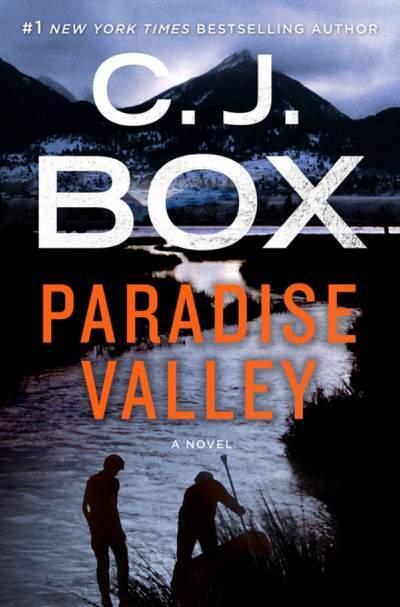 Box’s Paradise Valley, released on July 25, is the third book with Cassie Dewell. Craig Johnson’s The Western Star will be released Sept. 5 and features Wyoming Sheriff Walt Longmire. Box and Johnson’s novels share many attributes, not the least is their cast of characters and their portrayal of the American Wild West, or what is left of it. It is interesting to note that both authors are from Wyoming, a state with a small human population, lots of wildlife and rugged winters. All their characters, especially the main ones, are not “lone wolves” like Shane or Jack Reacher. They are well-drawn, relatable and have families that complicate and enrich the stories. Additionally, all their novels feature strong female leads. These authors have received multiple awards and most of their books have been prominent on the famed New York Times Best Seller list. They have millions of fans from around the world. This is most likely because Johnson and Box are masters of creating tension and suspense, which makes it difficult for readers to put down their books. Paradise ValleyParadise Valley’s explosive opening thrusts Cassie Dewell into a hellish situation and thwarts her almost four-year-long attempt to bring a ruthless serial killer to long overdue justice. Cassie, a single mom of Ben, 12, is the chief investigator for Bakker County Sheriff’s Department. Based in Grimstad, North Dakota, she is originally from Montana, and she is bent on apprehending Ronald Pergram, known as the “Lizard King.” Pergram is a long-haul trucker with a special rig, which he uses to kidnap and torture “Lot Lizards,” prostitutes who troll truck stops for customers. Because he preys on transient women and across state lines, it took law enforcement many years to discover his heinous crimes. Cassie’s plan to end his unfettered crime spree once and for all ends in disaster, and she loses her job. At loose ends a month later, she is approached by Lottie, Kyle Westergaard’s grandmother, to look into his disappearance. Kyle, 14, has minor Fetal Alcohol Syndrome with a speech impediment and is Ben’s friend. Ironically, Kyle and neighbor Raheem, another 14-year-old, disappeared on the same day as Cassie’s work disaster. As a result, law enforcement has done little to find the missing boys. Unable to resist Lottie’s pleas for help, Cassie starts her search unlike any other investigation she’s conducted before – as a regular citizen: no badge, no authority and no backup. As Cassie pursues her meager leads, she uncovers seemingly unrelated events that convince her the missing boys might be in more danger than she had thought. Following her instincts, she ends up back in familiar territory hot on the trail and facing poor odds when she gets fierce help from an unexpected source. The resulting climax hints at major changes in Cassie’s next act. The Western StarA counterpoint opening in Johnson’s The Western Star begins with a mild inquiry about an old photo that shows 25 sheriffs at the front of what is supposed to be a classic steam engine. Walt Longmire, sheriff of Absaroka Country, Wyoming, is thrust back in time to 1972 when he was a newly hired deputy just back from Vietnam. Walt and Sheriff Lucian Connelly are getting ready to board the magnificent Western Star. This trip is an annual round-trip junket crossing the state from Cheyenne to Evanston and back with the Wyoming Sheriff Association. In the present, Walt, Lucian and best friend Henry Standing Bear are in Cheyenne to try to block a compassionate release of one of the most dangerous killers Walt has known. Also present is Walt’s undersheriff and paramour, Vic Moretti. As Walt and gang try to gather facts and witnesses to prevent the prisoner’s release, Walt relives the past and his memorable journey trapped on a speeding train in the dead of a ruthless Wyoming winter. With a nod – or homage – to Agatha Christie’s Murder on the Orient Express, Walt must find a remorseless killer in his own version of a locked-room mystery. When the past and the present merge, Walt faces losing everything he holds dear. It is the future that fills Walt with dread and fuels a quest that will drive him, much as Cassie’s hunt for justice. Box and Johnson have plumbed the resources of the vast Western landscape and used situations not found in big cities or suburbs to great effect. They have crafted fascinating characters and put them in riveting, challenging circumstances that test their mettle and threaten their worlds. All this effort benefits their waiting fans. So don’t choose – read both gripping novels.